Hamburger Hafen und Logistik AG (HHLA) can look back on a very successful financial year 2018. The already strong results of the previous year were exceeded, with increases in revenue and earnings across the Group. We were true to our word and achieved the ambitious targets we set ourselves. Our shareholders will profit from this success. Subject to the approval of the Annual General Meeting on 18 June 2019, we will increase the dividend to € 0.80 per class A share, which equates to a rise of more than 19 percent. We want to justify the trust placed in us by continuing to deliver a strong performance. For the current financial year, we expect to build on the successful previous year in a challenging market environment and slightly exceed the results of 2018. Our aim is always to offer our customers the best possible solution for the quick, safe and efficient transport of their goods. We stand by this aim, irrespective of changes in the underlying conditions. 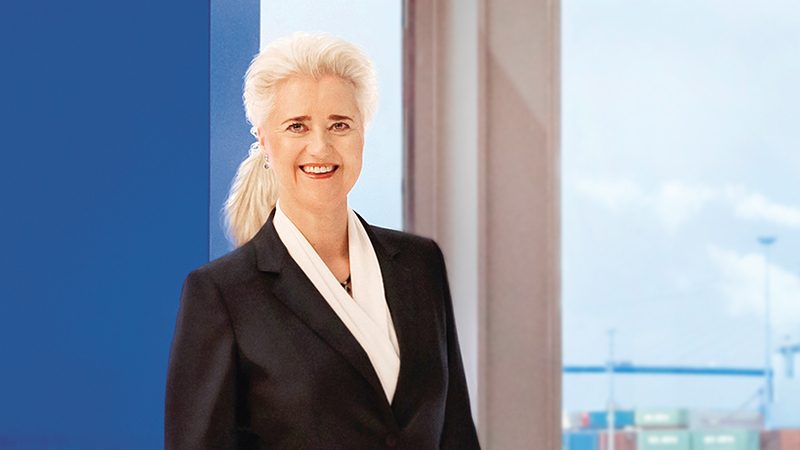 Hamburg and its port represent the gateway to the world – a world that is changing fast. Each and every one of us has the impression that the pace of change is constantly increasing and that even long-standing certainties can no longer be relied upon. What to do in such times? Our experience tells us that we should see change as both a challenge and an opportunity. This is what HHLA has always done throughout its 130-year history – and it has always been rewarded with success. We will therefore continue to systematically implement our strategy of strengthening the creative power and future viability of HHLA. What does that mean in concrete terms? By investing in our core business in the Container, Intermodal, Logistics and Real Estate segments, we will continue to focus on profitable growth whilst also identifying and driving forward new areas of growth, especially digital ones. HHLA aims to be the gateway to the future. This means developing logistical and digital hubs together with our customers for the transport flows of the future. We began implementing this strategy last year by acquiring Estonia’s largest terminal operator, Transiidikeskuse. HHLA TK Estonia has since been incorporated into the HHLA network. We have also successfully completed the integration of rail operator Polzug into the Metrans Group, which has been wholly owned by HHLA since last year. Compared to the previous year, the contribution made by Metrans to total comprehensive income increased once again. This is further confirmation that covering the entire logistical transport chain, from the quayside to the hinterland, is the right approach. And this is also the approach we are taking with our digital strategy. The aim is always to offer our customers the best possible solution for the quick, safe and efficient transport of their goods. This is why, for example, we have set up a joint venture with the US-based company Hyperloop Transportation Technologies (HTT). By working together, we want to develop a solution for transporting goods using Hyperloop technology. The fact that HTT has chosen Hamburg and selected HHLA as its partner for this high-tech project underscores the attractiveness of the location and our expertise as an innovative company. A leading industrial nation such as Germany will continue to need a state-of-the-art, high-performance port. One quarter of Germany’s foreign trade flows through its seaports, and Hamburg in particular. In other words, ports are a key element of the country’s infrastructure. And this is why it was important and welcome news that the long-lasting legal dispute about the dredging of the river Elbe has come to an end, allowing work to begin. The world’s largest container ships are already docking in the Port of Hamburg. In two years’ time, the riverbed will have been widened and dredged sufficiently for these ultra-large container vessels to carry even more freight to Hamburg – and with even more flexibility in terms of scheduling. HHLA has long been preparing its terminal facilities for these ultra-large container vessels. We will continue these efforts and – instead of resting on our laurels – will keep working hard to offer our customers high-quality solutions whilst enhancing HHLA’s enterprise value for your benefit.